At Mont'Alves it all starts by doing the necessary tests to the female that we are thinking of using for breeding. Hips, Elbows, and Eyes are tested and only if the results are ok do we continue with our plans. The next step is to choose a male that in terms of morphology, genetics and temperament suites the particular female that we are planning on using. This is maybe the most difficult task of all. 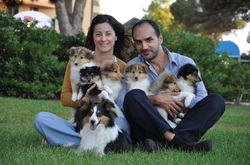 Our goal is to produce healthy pups with stable temperament according to the standard. To achieve this, the combination has to be the correct one. A lot of help is required from reputable breeders from all over the world in order to find the best match. We want to improve and it is not easy. That is possible only with the help of our friends. Regarding this matter a very special thank you to two very special breeders and friends that take the time to answer all the silly questions and endless doubts. Christine Bouchat from the d'Eroudur kennel in Belgium and Bianca Heideveld from the Skeldale kennel in Holland. 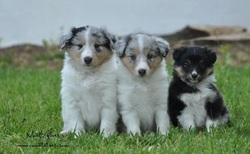 My "personal breeding consultants" as far as laekenois and shelties are concerned. 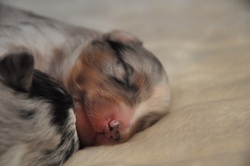 After the male is chosen we announce it to the world and reservations for pups are accepted, sometimes these reservations start earlier when there is a specific interest in one of our females. When we have a reasonable number of reservations we mate the female in the following season. Before the mating the female goes through a health check-up and is dewormed. During the pregnancy two ultrasounds are done. One at 30 days to see if she is pregnant and another closer to the delivery date to check the health status of the babies. Closer to the delivery date the maternity is set up and we anxiously await. 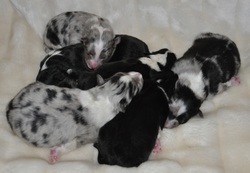 The pups are born in our house in the family room where the mother can be calm and relaxed with her babies but very close to the family. Our pups are since birth involved our daily activity and experience as much as possible consider the imaginable interaction that two children can provide. From watching TV to listening to music all is possible at Mont'Alves. 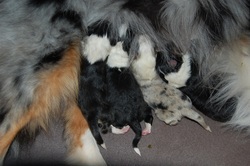 At this stage the help from my children and especially my wife is crucial to maintain the pups always clean and happy. Thank you Isabela, Henrique and Paula. 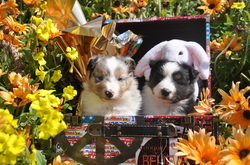 When the pups reach the age of 4 weeks they start to go out to the garden. Since we live in an isolated area, besides sociabilization with our friends that come to visit our dogs we try to take them to the beach and to the village. Socialization is very important at this stage so we do our best to get them outside and meet new people, places and situations. At 6 weeks the pups receive the visit of Dra. Tina Peixoto the family vet that checks them all and gives them the first shot and deworms them. One week after they are all microchiped and at 8 weeks they get a second shot and are dewormed for the second time. The puppies are ready to start a new adventure at their new house. We try to keep in touch with all the new Mont'Alves puppy owners and receive news from our little ones and of course plenty of pictures. Some of them we get the chance to see from time to time others go far far away from us and we never know if one day we will meet them again, but pictures and emails make it all easier. Thank you to all the Mont'Alves dog owners for the information on the little ones and for taking really good care of my babies.